What Do the Fitness Classes Involve? The classes start with a gradual warm up and then progress on to an aerobics workout. All the aerobics steps will be easy to follow and predominately low impact. After the aerobics workout, we’ll do some toning and strengthening exercises targeting the muscles which change during pregnancy eg abdominals, bum, chest and back. After that, we’ll do a nice relaxing stretching session to relieve tension at the end of your day. At this point, you’ll be trying to relax and your baby’ll probably begin exercising and wriggling about! What Do the Pilates Classes Involve? 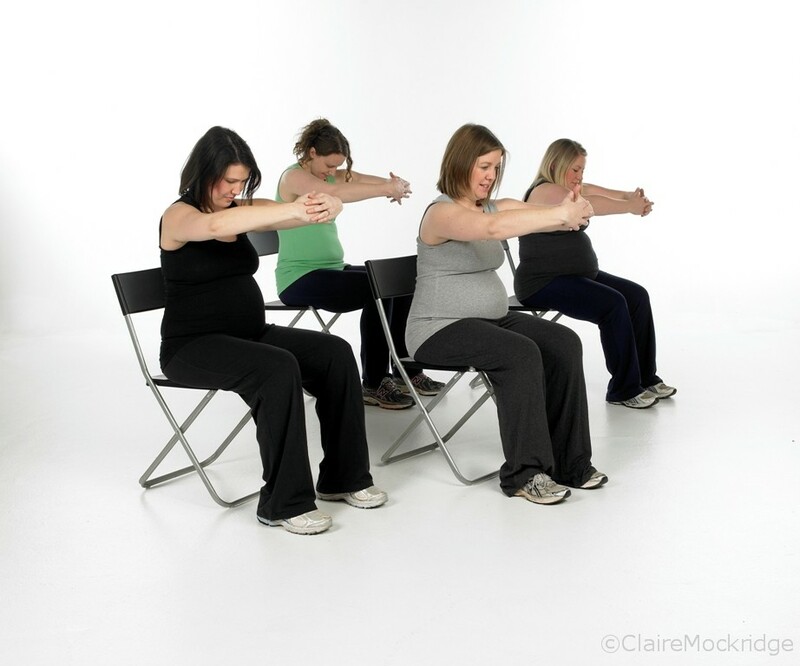 Bump to Babe Pregnancy Pilates Classes start off with a standing and/or seated mobilising warm up which prepares the vertebrae of your spine and the joints of your body for your Pilates workout. Then, we progress on to exercises which target the lower body, abdominals, upper body, and get you thinking about your core, pelvic floor and the muscles which help stabilise your shoulders and pelvis. After that, if time permits, we’ll do a relaxation session, followed by a cool down stretch session to relieve tension. Where are the Fitness Classes Held? The Monday 6pm Pregnancy Fitness Classes are held at: Lady Bay Scout Hall, corner Trent Boulevard/Mona Road, Lady Bay, West Bridgford, Nottingham, NG2 5BU. Where are the Pilates Classes Held? The Tuesday 6:15pm Pregnancy Pilates Classes are held at: Friary Scout Hall, corner Musters/Millicent Roads, West Bridgford, Nottingham, NG2 7PR. When Can I Start Bump to Babe Fitness/Pilates Classes? You can start Bump to Babe classes whenever you like and several mums-to-be continue exercising right up until their due date! How Long Does Each Class Last For? Each class lasts for an hour. 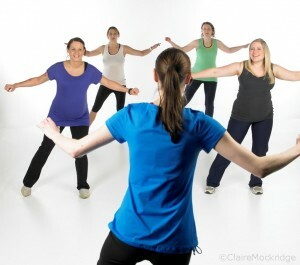 Pregnancy Fitness Classes cost £77 for 10 sessions (11th session free!) / A typical Pregnancy Pilates courses costs £60 for a 6-week course. A good support/sports bra is essential and well-fitting, supportive trainers which fit your feet properly. It’s not uncommon for your feet to swell to a size bigger during pregnancy, so please make sure you old trainers don’t feel too tight. You’ll need to wear a comfortable t-shirt/sports top on your upper body. Shorts/cropped tracksuit bottoms may be more appropriate for your lower body because your body temperature is slighter higher than 37 degrees during pregnancy, so you’ll probably feel more comfortable if more of skin is exposed. 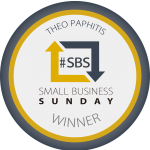 A maternity support belt may be needed to provide a little bit more support for your back/pelvis as your baby grows bigger too. Bring along a bottle of water, an exercise mat and a rolled up towel to support your head/bump. Are the Classes Taught by a Qualified Instructor? Yes, Claire holds the Level 3 Personal Trainer Award, Level 3 Ante/Postnatal Instructor Certificate and Level 3 Pilates Instructor Certificate. She was recently appointed to the committee of The Guild of Pregnancy and Postnatal Exercise Instructors and is also fully insured for Public Liability. Claire trains, mentors and certifies newly qualified Ante/Postnatal Instructors worldwide in her own techniques in abdominal separation and pelvic floor dysfunction, so you’re in very safe hands, as she’s worked with over 1,000 pregnant and postnatal women. If you’re booked on the Pregnancy Fitness Classes, there are no designated car parking facilities available for Lady Bay Scout Hut users, but there are plenty of parking spaces available on either Trent Boulevard or Mona Road for you to use. If you’re coming to the Pilates classes, there are around a few car spaces available for Hall users at the Friary Scout Hall, either on the angled spaces between the Hall and the Church, or on Millicent Road at the side of the Church. I Don’t Have a Car, Which Bus Do I Take? The Lady Bay Scout Hut is easily accessible on the number 11 Trent Boulevard bus route from the city. Ask the driver to let you off at the 3rd bus stop along Trent Boulevard which is Gertrude Road. The Friary Scout Hall is on Musters Road, a short walk from most Trent Bridge bus stops, so catch any NCT bus to Trent Bridge, and walk from there. Yes. There are toilets available at both Halls where you can get changed before and/or after the class. There aren’t any classes in my area, what should I do? If you’re really interested in attending Bump to Babe classes, but there aren’t any classes within commutable distance for you, why not get a group of friends together and ask Claire to set one up for you! All you’ll shopantibioticsonline.com need is a small community / church hall available for hire. Click on the timetables tab first. Select the class you wish to pay for. You’ll then be asked to fill in a Bookings Form. Some mums-to-be may need to obtain Doctor’s Consent before they commence Bump to Babe classes. Your Instructor will be in touch if this is required, after you’ve filled in your form. I May Not Be Able to Come to Class Every Week, What Should I Do? If you’re not able to commit to every class every week don’t worry, contact Claire to explain the details of your circumstances and she will try and offer you a solution. Remember, your Bump to Babe Fitness Class Card entitles you to your 11th session free and you can use up these sessions on any Monday Fitness class. I Can’t Come to My Class this Week, What Do I Do? If you can’t come to a class one week for whatever reason, simply contact Claire via phone or text – 07747 656550 or email to let her know. Try and give as much notice as possible. At the end of each session, Claire will generally ask you if you are attending the following week’s class. If you told Claire you would be attending and you don’t turn up – we may be standing around waiting for you to arrive to get started! What Do We Do After the Class has Finished? Every month or so, if you have 30 minutes or so to spare after your Fitness Class, come along to the Poppy & Pint Pub off Pierrepont Road one street away from the Hall for a chat and refreshing drink after your Fitness class has finished. Those booked on the Pregnancy Pilates classes will generally go out for a social night on week 4 and the final class of the course to a restaurant in West Bridgford. Claire realises that having a baby can be quite a daunting experience and this a great opportunity for you to meet and chat to other expectant mums without having to wait until your antenatal classes start. How Late into My Pregnancy Can I Exercise? To be honest, women can still safely exercise quite late into their pregnancy, particularly if their bodies are already used to exercise. You’ll be the best judge of when to decide to stop coming along to Bump to Babe classes. Towards your 36th-40th week, you may need to slow down a little bit, but if you’re still pregnant, you still qualify to attend! Remember that every women is different, and therefore every pregnancy is different too, so some women will continue to exercise till very close to term, others may have to stop/slow down earlier. How, Who and When Do I Pay? You will be asked to pay for your 10 Fitness Classes, or Pilates course upfront a week or so before your course starts. If you’re joining the Fitness Classes, Claire will issue you with a Bump to Babe Card at your first Fitness Class, which entitles you to your 11th session free. Remember, you can use up your 11 sessions on any Fitness Class, giving you greater flexibility and opportunity to exercise throughout your pregnancy. The Pilates courses are sold in short courses and sessions can not be transferred from one course to the next. How Soon After Having My Baby Can I Start Exercising? You can exercise safely after having had your baby as early as 6 weeks (natural births) or 10 weeks (c-section). Your Health Visitor/GP will give you the go ahead to commence exercise after having your baby by making sure your stomach muscles have re-aligned properly.